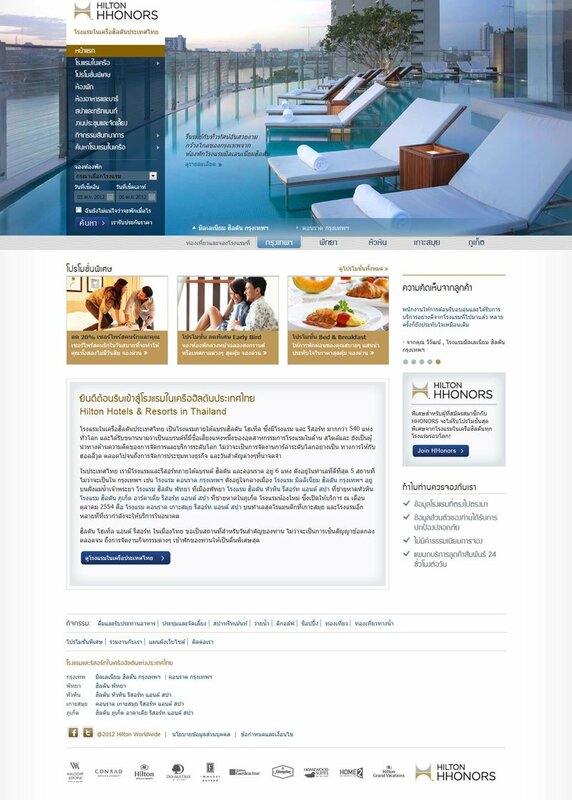 Scheduled to go live from April 10, 2012, the new site aims to offer an enhanced, interactive online guest experience to Thai-speaking travelers across the globe. Incorporating individual pages for all six of Hilton Worldwide’s operating properties in the country, the innovative site boasts ease of navigation and will offer the best value in online bookings for accommodations and special hotel promotions. Setting a new benchmark for quality guest experiences online, the website will also include insider travel tips on places of interest close to each hotel aimed at allowing guests to plan a unique holiday tailored to their individual interests. Hilton Worldwide currently manages six properties in Thailand including Conrad Bangkok, Millennium Hilton Bangkok, Hilton Pattaya, Hilton Phuket Arcadia Resort & Spa, Hilton Hua Hin Resort & Spa and Conrad Koh Samui, and will open Hilton Sukhumvit Bangkok and DoubleTree by Hilton, Sukhumvit Bangkok in 2013.